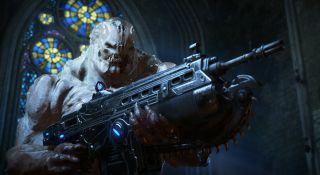 Gears of War 4, like its Microsoft-published sibling Halo 5, has card-based microtransactions. For either spending real world money or playing the game, you earn Credits, which in turn can be used to purchase Gear Packs - digital cards which randomly unlock character skins, weapons, emblems, and more. After four days of early access players providing feedback, developer The Coalition wrote on the official forums that "the calculations that determine the rate at which Credits are earned were under our own expectations - and yours." Thus, the changes to Gear Pack cost and Credits earned. What's funny to me is that this is, essentially, a day-one patch, spurred by data provided by those who pre-ordered special editions of the game. Those of us who waited to pick up a copy will never experience the harsher Gears of War 4 economy. It seems that patience is not only a virtue, but it can save you money.